Today, a federal judge in Florida granted a joint motion to dismiss a case filed under the False Claims Act against Southeastern Aluminum Products Inc. (“Southeastern”) following its settlement with the federal government and the relator that filed the complaint. The Florida-headquartered manufacturer of bath enclosures and shower doors agreed to pay a $650,000 settlement after it allegedly conspired with other companies to avoid anti-dumping and countervailing duties on aluminum products from the People’s Republic of China (“PRC”). Southeastern, C.R. Laurence Co. Inc. (“CRL”), and Waterfall Group LLC (“Waterfall”) allegedly tried to avoid the duties by shipping aluminum extrusions manufactured by Tai Shan Golden Gain Aluminum Products Ltd. (“Tai Shan”) though Malaysia, a practice known as “transshipping.” In February, the U.S. Department of Justice announced that CRL had agreed to pay $2.3 million to settle the allegations and Waterfall had agreed to pay $100,000. The relator received more than $555,000 as his share of the aggregate settlement amounts. 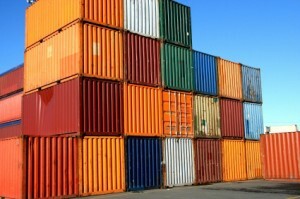 The International Trade Administration of the U.S. Department of Commerce assesses, and the U.S. Department of Homeland Security’s Customs and Border Protection collects, anti-dumping and countervailing duties to protect U.S. businesses and level the playing field for domestic products. Anti-dumping duties are imposed to combat merchandise that is being sold (or likely to be sold) in the U.S. at less than its fair value. “Dumping” is also known as predatory pricing. Countervailing duties are imposed to offset a governmental or public subsidy to the manufacture, production, or export of merchandise imported, or sold (or likely to be sold) for importation, into the U.S. The countervailing duty rate was 137.65% percent and the anti-dumping duty rates were between 32% and 33%. Combined, the duties made it impossible for U.S. companies to make a profit by importing their aluminum extrusions from the PRC. Under the Tariff Act of 1930, domestic manufacturers or unions within a particular industry can file petitions for such remedies but the law requires that the petitioners represent at least 25% of the domestic production of the goods for which competition is causing material injury. The companies’ use of the aluminum extrusions components from the PRC was threatened by a March 31, 2010 petition with the International Trade Commission for an investigation into the possibility that Chinese manufacturers were dumping the product into the U.S. or receiving unfair subsidies. Despite this changed environment, the named companies continued to import the product. But in order to make the imports profitable, the companies allegedly worked to circumvent the countervailing duties. Those efforts allegedly brought Robert Wingfield of Tai Shan, John Wright of Southeastern, and Lloyd Talbert of CRL together in mid-September 2010, shortly after the countervailing duties were implemented. During the meeting, the parties allegedly sought to resolve the difficulties presented. Accordingly, the companies remained the importers of record on shipments of aluminum extrusions imported from the PRC but allegedly undervalued the price of aluminum extrusions onboard and failed to declare the shipment as subject to the new countervailing duty. Following receipt of this initial shipment, the companies imported later shipments as “test” shipments and allegedly conspired with Tai Shan to declare them as originating from Malaysia. No such duties are due on imports of this product from Malaysia. The companies therefore: (1) misrepresented the country of origin on its imports; (2) misrepresented the value of its imports; and (3) failed to declare the existence and amount of duties owed to the government. The companies also allegedly knew that Tai Shan had no facilities for manufacturing aluminum extrusions in Malaysia, the Malaysian companies did not have the proprietary dies needed to manufacture the extrusions for the companies, and the price paid for Tai Shan’s aluminum extrusions did not increase enough to cover the amount of the additional duties. On April 15, 2011, relator James Valenti filed the qui tam complaint against Southeastern and others. Valenti helps U.S. companies find foreign sources of aluminum extrusions. The federal government subsequently intervened in the case in March 2013, filing its complaint of intervention in November 2013. In May 2014, a federal judge refused to dismiss the allegations. According to the government’s complaint, the companies violated the reverse false claim provision of the False Claims Act because the proscribed act depends not on submitting a false claim for payment from the government, but rather on submitting a false claim to avoid payment to the government.